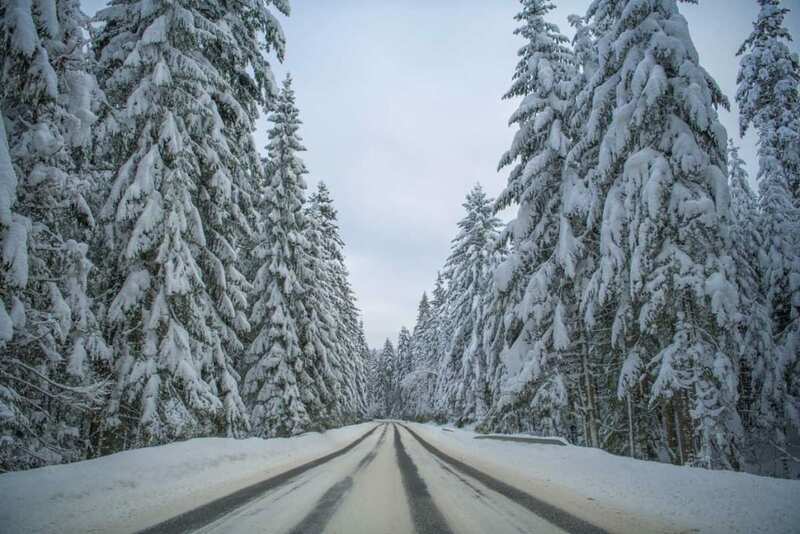 In the winter months, individuals do their best to adapt to the road’s uncertain and precarious wintry conditions. Depending on the maintenance of travelled roads and the ever-changing climate, drivers undergo a journey that requires concentration, awareness, preparedness and a ready-for-anything type attitude. 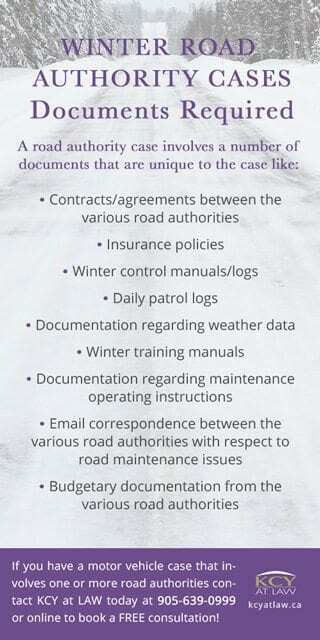 Unlike a regular motor vehicle accident case, a road authority case involves a number of documents that are unique to those cases. These documents, however, are crucial to proving your case and getting the compensation you deserve. Budgetary documentation from the various road authorities. It is also important to review the applicable municipal legislation and by-laws as they relate to road maintenance services, as well as any “minimum maintenance standards” regulations in effect at the time of the accident. These are just a few of the considerations that need to be thought of in order to build a successful road authority claim. Regardless of the considerations above, all drivers must still remain focused and alert to what lies on the road ahead. 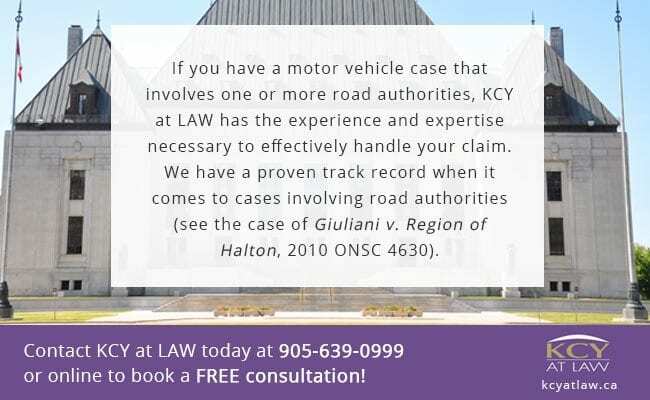 If you have a motor vehicle case that involves one or more road authorities, KCY at LAW has the experience and expertise necessary to effectively handle your claim. We have a proven track record when it comes to cases involving road authorities (see the case of Giuliani v. Region of Halton, 2010 ONSC 4630). Common Traffic Injuries – The New Regime in Ontario Employment Law: The End of the 24 Month Cap on Notice / Severance?